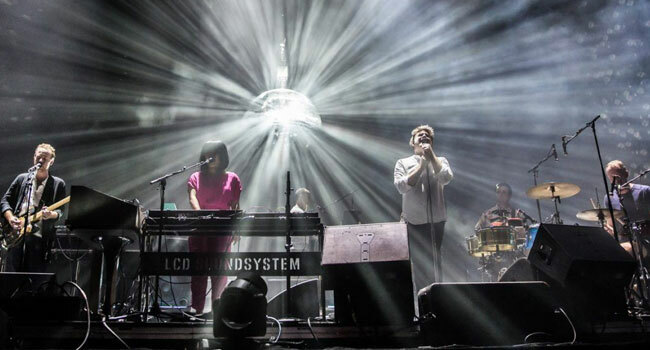 LCD Soundsystem has confirmed its first U.S. headlining dates of 2018 for April and May. The first show is April 27th at the Greek Theatre in Berkeley, CA; May 3rd at the Santa Barbara Bowl in Santa Barbara and May 4th at the Hollywood Bowl in Los Angeles. The Hollywood Bowl show will feature Yeah Yeah Yeahs plus a TBA special guest, while the Berkeley will feature support from TV On The Radio. Tickets for the new dates will be on sale to the public Friday, January 26th at 10 am local time. The tour is in support of last year’s American Dream album, released on September 1st, and the group’s fourth project. The album entered the U.S. chart at No. 1 and has been nominated for two GRAMMY Awards — Best Alternative Album and Best Dance Recording (for the song “tonite”)—and has generated a tide of year-end best of lists and accolades from Rolling Stone, Time, Entertainment Weekly, Stereogum and more. American Dream is available on vinyl, CD, special edition cassette and digitally via Columbia Records/DFA. Additionally, LCD Soundsystem will make its debut on Austin City Limits TV on PBS, with an hourlong full episode performance airing February 3rd.